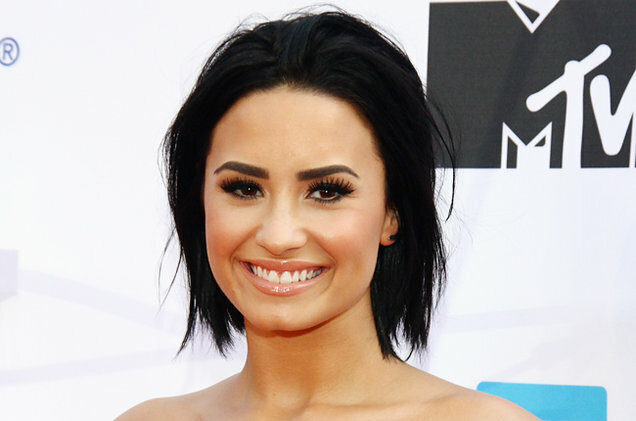 Demi Lovato plans to embark on an extended hiatus next year. The American singer took to Twitter to break the news to her fans and followers yesterday. The “Cool for the summer” star wrote she was feeling very excited for next year as she is going to take a break from the shinning world of music and spotlight. She added she wasn't meant to live in the media and this business. Demi's unexpected announcement appeared as if she has abruptly taken the decision after finding herself stuck in Taylor Swift controversy. She had criticized the American Singer for tearing Katy Perry down during an interview with Glamour magazine. Besides slamming the fellow singer, Demi also said it was unfair to act like Taylor did with Perry on the occasion of promoting her song "Bad Blood". It's a solo track which was supposedly written to describe the pop singers' famous feud. Demi's remarks were immediately caught by Taylor's fans and they blasted on her with an online backlash. The reaction prompted the 24-year-old to defend herself against a series of heavy criticism. And she reacted saying she is asked different questions which she answers and if anyone doesn't like it, is free to sue her. Demi wrote people should remember that words can be gone out of context during an interview. She insisted she would not apologize for saying what everybody wants to say. Demi seemingly took aim at Taylor on Twitter back in February this year when Taylor stepped forward to give pop singer Kesha a financial support so that she can fight her legal battle against Dr. Luke. Demi tweeted she was ready for "self-announced feminists" for taking actions and speaking up about women's rights. She stood by her remarks when she was in the media discussion about her supposed feud with American magazine. She insisted some celebrities should do more if their planning is to project a feminist or female empowerment image. Demi says she thinks all women do their individual part in some way but in certain situations, some stars could do more if they claim their act is an important part of their brand. Giving the reference of Taylor's single "Bad Blood", she said she thinks it is not about empowering women when someone has a song and video about tearing other woman (Katy Perry) down. Concluding the matter, Demi wrote she just didn't understand why everyone cares a lot about what she says in her interviews. She wonders about people asking them if they all hear the news. "Don't they all get sick to worry about others?” She asked. Demi Lovato has already been under online assaults before this. The star had to quit Instagram and Twitter after being harassed by nasty internet trolls in June this year. Though she joined back to her social friends after one day of the incident, she appeared a bit reluctant to be a “frequent online user”. After her return to social media, she said she didn't care about all that and she was coming back and felt herself more honest than before. She also tweeted out a smiling face along with a middle finger. She posted another message in which she made a naughty face with devil horns.